Eye care professionals specialize in understanding how the human eye really works, as well as diseases and conditions that affect your vision – many of which do not have obvious symptoms. Eye doctors in West Jordan know how age and risk factors affect vision over time for young and old, and they understand the benefits and features of corrective lenses including eyeglasses and contacts. Our West Jordan optometrist takes the time to explain the results of your eye exam, describes your options and listens to your eye care needs. Because maintaining good eye health is an ongoing partnership, we encourage you to ask questions and share your health information, which could be vital to monitoring, diagnosing and treating potential vision problems. Since starting his West Jordan eye clinic in 2005, Dr. Kimball has offered a unique experience to each one of his patients. Upon completion of his post-graduate work at the Southern California College of Optometry, he has made it his goal to offer the best optometric care to his patients treating them as he would treat his own family. He prides himself in not just being a good clinician, but knows that every patient leaving his office will understand exactly how their eyes work and will go home with the knowledge that they have had the most thorough eye exam they have ever had. Dr. Kimball is a third generation Optometrist being led by a strong tradition of valuable service since his grandfathers opening of their first clinic in the Sugarhouse area back in 1952. After serving with his father in several humanitarian missions in South and Central America Dr. Kimball saw the lack of eye care being provided and its endless benefits to those that were given the gift of sight for the first time. That passion has spilled over to his current clinic where he strives to provide explanations to how the eye and the body work together. He prides himself on improving vision through medicinal as well as holistic approaches. Dr. Kimball has been a long-term member of the American Optometric Association and the Utah Optometric Association. He is active in the West Jordan Chamber of Commerce. He is a native of Utah and resides with his wife, Kathy and their four sons, Jonah, Eli, Jax and Remy. His interests include family activities, sports of all kinds, music, woodworking, camping, poetry and BBQ. He is a fluent Spanish speaker and enjoys working with the Spanish speaking community. Dr. Simmons is a local native, born and raised in Cottonwood Heights. He attended Brighton High school, received his Bachelor’s degree in Business Administration from Utah State University and his Doctor of Optometry degree from the Indiana University School of Optometry. Dr. Simmons completed clinical rotations at the Quantico Marine base in Quantico, VA, the Northern Indiana VA hospital in Fort Wayne, IN as well as the Eye Institute of Utah in Salt Lake City. Prior to optometry school, Dr. Simmons worked as an Optician. This experience enabled him to work as an Associate Instructor for the Ophthalmic Optics portion of the curriculum while attending IU. 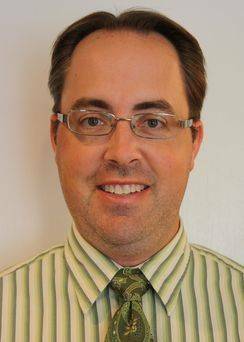 Dr. Simmons’ experience makes him a perfect fit here at Taylor Optical as he has a deep understanding of optics and the importance of high quality lenses and precision in providing patients with clear and comfortable vision.